Amazon has the Shopkins Wedding Wheels 3 Pack on sale for just $9.09 (regularly $15.12). Plus shipping is free. The Cutie Cars Shopkins 3-Pack has three times the cuteness! Each pack includes 3 Cuties Cars and their 3 Mini Shopkin drivers, including 1 exclusive Cutie Car in every pack! 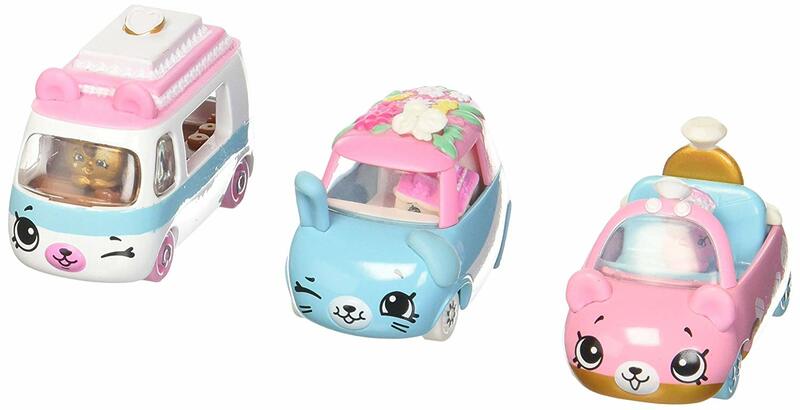 The Wedding Wheels Collection includes Wedding Wagon the Fun Food Van, Ringo the Convertible Cutie, and Blossom Buggy the Buggy Buddy.